About Us - Malvern Historical Society, Inc. 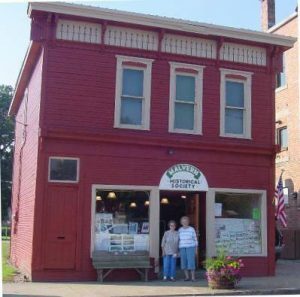 The Malvern Historical Society has a vision of keeping the history alive associated with this small village located in Carroll County, Ohio. Malvern has been witness to more than 200 years of people, events, and memories; this page will help to collectively gather this history together to supplement the physical artifacts on display at the society’s home. *Meetings held the first Thursday of each month at 7 p.m. at the society building (unless otherwise advised). -The Malvern Historical Society is a non-profit organization and all membership dues paid are tax-deductible. Dues collected are partially utilized for the upkeep of the society’s home located on East Porter Street along with other historically-relevant local projects. -Membership in the society is non-obligatory and signifies your support to perpetuate the efforts of a local organization. If you would so choose, mail your membership dues to: Malvern Historical Society, P.O. Box 80, Malvern, OH 44644. Please include all contact information, including email address. Checks are made payable to the Malvern Historical Society.